The technical tools used to analyse the wide range of movement in the markets come in many colours and creed. Each one on its own has a unique functionality and help in throwing up separate perspective of the currency market trade. While the debate on what is more effective and how can we use one tool over the another continues, one basic fact remains that technical tools form the backbone of trading and help traders prepare for eventualities and euphoria alike. The topic, that we analyse in this session, is MACD Histogram. We have already talked about MACD indicator in some other articles (I will give you the links at the end of this article). What we want to focus on in this article is MACD Histogram. 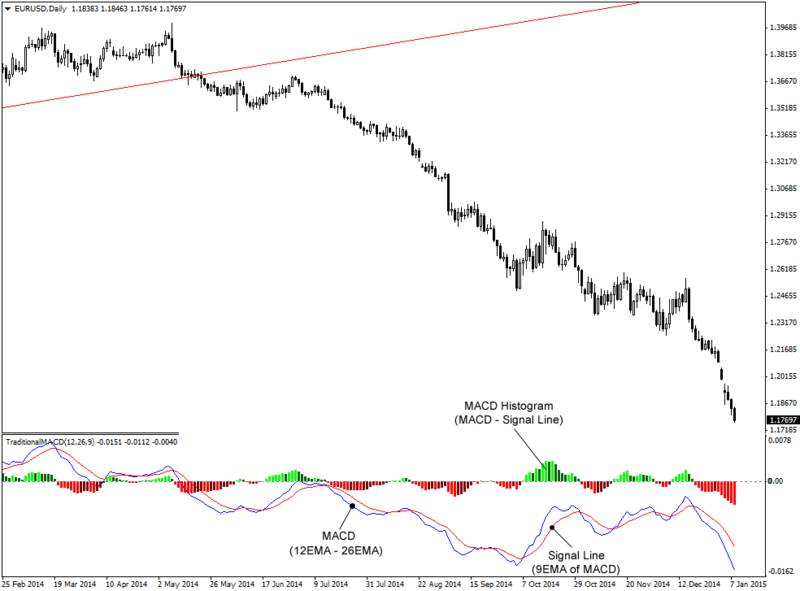 First a brief introduction about the indicator itself, and then more details about MACD Histogram. What exactly do we understand by MACD? How does it differ from the usual moving averages chart and what comprise of the key highlights of this technical tool? At the very behest, let’s deal with the definition bit. MACD stands for Moving Average Convergence Divergence. As the name indicates, this is a momentum indicator that follows the trend. In common terms you could term it as the crucial link that shows the relation between two moving averages. A simple way of calculating and deriving it is by using an existing 26 EMA (exponential moving average) and then subtracting it from a 12 EMA. As a direct derivation of that then is a 9 EMA is plotted on top of MACD. This then becomes the trigger to buy or sell your trading positions. 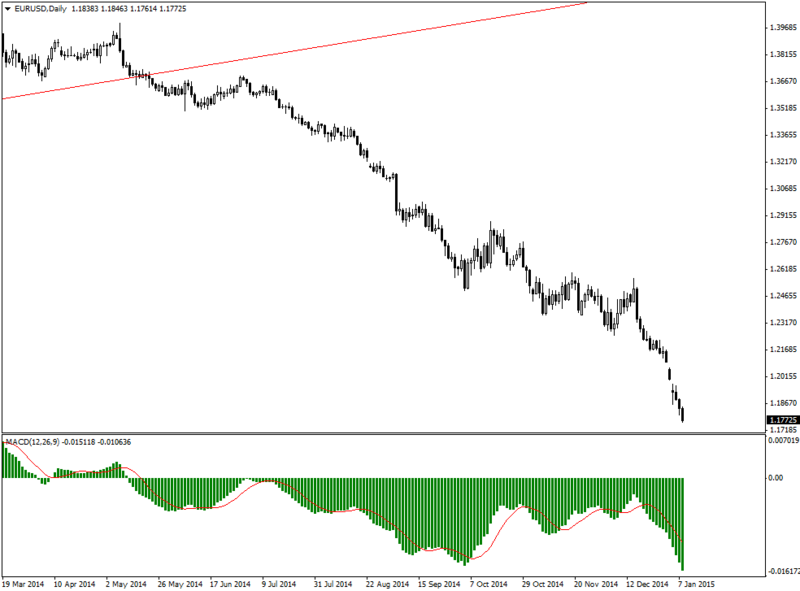 Click Here to download and install the Traditional MACD on your MT4 platform if you like to follow it. Click on “File” menu at the top left of your MT4 platform. Click on “Open Data Folder”. Copy and paste the indicator to “Indicators” folder. Press Ctrl+N to open the navigator. Open the “Indicators” dropdown. Drag “traditional-macd-mt4” and drop it on the chart. Understanding the historical relevance of this momentum indicator helps us get a better perspective. It was invented by Gerald Appeal in 1979. Widely appreciated by traders, the MACD has gained popularity since its inception essentially due to the simplicity in approach and the flexibility in interpretation and usage. When you look at the typical MACD chart, you will see that there is one extra line which for all practical purposes can be interpreted as the EMA of the main MACD line. Essentially then the MACD histogram is an extremely elegant visual representation of the difference in price action between the MACD and the nine-day EMA plotted to arrive at the MACD. When you see the MACD above the 9-day EMA, you get a positive histogram. What it essentially mean sis that price rise leads to an increase in size of the histogram and it contracts in size as the price action sees a downward trend. There are several ways that you can use this indicator to trade. Trader can identify crossover points when the MACD slips below the signal line indicating beginning of a bearish phase and signals a sell call. A positive or a bullish crossover is noticed when this same signal line rises above the MACD and gives the trader the sign to begin buying on the back of upward momentum. You can safely conclude that the current market trend is coming to an end when you see the price action signaling a sharp divergence from the MACD. This is your indicator to wrap up existing positions and prepare for the ensuing trading position. Well, as the name indicates MACD is about divergence as well as convergence of pricing action. The above explanations make us fairly aware of the divergence part and its many usages. However what do you mean by price convergence and how can you use it as a trader to reap benefits? A convergence signal is formed when the market trend is pointing south. This is essentially a result of lower highs and even lower lows. At the same time, you will observe that the MACD bar goes up forming higher highs and higher lows. The convergence of the signal line with the MACD will be seen at the end of downtrend. That means as a trader a convergence is also a signal of reversal, but a trade should not be executed in a hurry. However, the Divergence is a more popular tool for interpretation rather the Convergence on these charts. This is essentially because Divergence works more effectively as the market heads south and the correlation grows stronger. Fear anyway is a way stronger driver of market strategy compared to the greed. Hence fear and, as a result, its reflection as MACD divergence remains the dominant force of market action. The MACD moving above or below the zero line is yet another crucial indicator. Essentially this gives you the relative position of the short-term average with the long-term average chart. The MACD slipping below the zero signals the short-term average slipping below the long-term average, a clear bearish sign. No wonder the zero line can often be used as target support or resistance zone. How To Interpret The Histogram? In common parlance, we can look at the histogram as the difference between the final MACD that is plotted and the signal line that forms the base of it. It is generally plotted as bar charts behind the actual MACD line, and the height of the bar signals the difference between the signal line and the MACD. 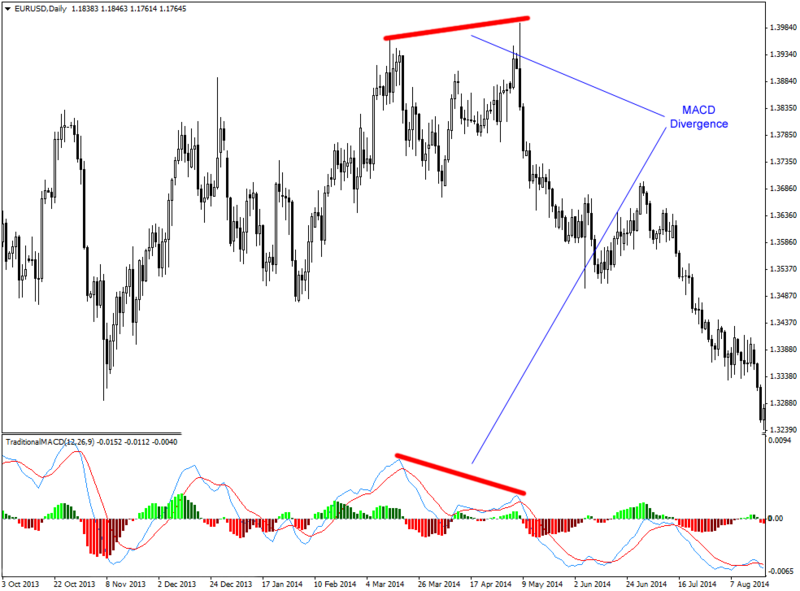 The histogram is often a popular tool to trade the divergence using MACD. However, traders must be cautious that this divergence trade does not have a very high accuracy levels. It fails more times than it succeeds. The track record for signaling exit and entry into trading positions is way more dependable. In other words, you can safely conclude that the MACD histogram is a fundamental reason for the wide spread popularity of the MACD as a momentum indicator. The speed of the price action is most frequently used to gauge the trend direction and as a sign of the future market move that is expected. One of the most popular of the histogram, as we discussed in the previous paragraph, is resolving the potential anomaly between entry and exit points and helping the trader to clearly chart out points that he should identify as exit points and entry points for his trading positions. If this MACD histogram does not see the formation of a new swing generate a new swing high through the price action, the trader can continue to add to his existing position safely and looking to achieve a higher average price for potential shorts. On the other hand, a new swing high on the histogram point the vice versa or time to wrap up existing positions. The reason, why this is a particularly popular indicator amongst traders, is because of the potential return scope when the price action reverses. EUR/USD short trade setup formed by 2014.05.08 candlestick on the daily chart is one of the strongest trade setups formed in last several years. The downtrend that was started after this setup is still continued and has made over 2000 pips for the short position holders. The possibility of yielding to fake signals is one of the biggest worries for a trader. The MACD indicator help you in safeguarding your trading positions from exactly this. As a result of it being a lagging indicator, the signals come in delayed. Even when several other market indicator might be signalling beginning of a new trend or end of an existing one, the MACD by the sheer power of its delayed response ensures that you tide over all types of false alarms. Also, following the MACD ensures that you never enter or exit a trend too early. In return, this means your profit is preserved to a significant extent. Also, divergence reflects a significantly accurate measure of the difference in price action and enables you to assess how removed the pricing is from the signal line. That in itself is a self-explanatory representation of the risk potential and profit perspective. Even without the aid of any additional tool you get a fair idea of the market action and the price pattern. Another interesting part about being in trend is that risk or losses are never over analyzed. The MACD histograms work in a fashion that the trend is never compromised. It keeps a check on the price action as well as the time period of the trading strategy. Since 2014.05.08 that this short trade setup formed, MACD and its signal line and also MACD histogram of MT4 default MACD are below zero level. It means the downtrend is still strong and bears can still hold their positions. Its simplicity in approach and ease of plotting makes it a common and widely accepted to choice for a significant majority of users. Traders not only find it simple to understand but even to plot these when the trading platform that they use do not support it. It is a highly flexible tool with easy adaptability across market conditions. Whether you are a seasoned market veteran or a novice in the market space, this is one tool you can always depend on to identify any potential trend in the market. The visual representation and the use of color make these histograms fairly simple to interpret and analyze. Whether you are a market analyst, a day trader or a hedge fund investor, across investor group, the MACD emerges as the winning choice for most who delve into analysis. Perhaps the MACD is a unique tool in its very approach. The nature of it is such that you are totally incapable of rushing into your trade whether it is to buy or sell. As a result of this, getting trapped into a false signal is fairly limited. However for the effective execution of the trade using the MACD Histogram, traders have to pay attention to some key criterion. They must understand that there are some unique features of this indicator as a result of it being a lagging representation of market movement. No patience by far is the most significant area of concern. Most traders whose strategies see failure while using the MACD is because of the simple fact that they lose patience and rush to make alterations in their position on the back of the slightest price action. Not just while entering, you need patience while exiting a MACD strategy as well. Let’s assume that you succeeded in taking on a favourable position in the market using this technical tool. Supposing you are in a hurry to exit and rush out even with a proportionately low profit figure, you end up being in the same position as you would be if you entered at an inappropriate point. The effort and the cost do not match, and the resultant return is significantly lower than expected. Another important fact is that it is a lagging indicator and gives you delayed information. As a result of that you cannot execute any trade on a fast track course using it. Slow and steady is the mantra if you are using the MACD histogram. In case you are in a tearing hurry to alter, enter/exit your trading position, this is not a preferred tool. Even when other tools indicate a trade set up, MACD can ask to wait on. LuckScout followers know that we normally don’t use indicators like MACD on our charts. We use candlestick patterns along with Bollinger Bands breakout to locate the trade setups. However, MACD is a great indicator for those novice traders who have not built their patience and discipline, and so they get in too early when there is no trade setup formed yet, and get out too early when the movement is not matured. Time and again the importance of disciplined trade has been reiterated in the market place. The MACD Histogram in this context is a unique approach to trading your existing positions on the basis of the divergence in movement rather than the actual price action. The dynamics of the markets allows easy expansion of positions and makes it an equally lucrative position for traders and investors alike. Any market veteran will always tell you that the trend is your friend. But the question is how you befriend the trend. Well, that totally is dependent on your ability to spot opportunities and devise strategies to maximize your gains from it. The MACD allows you to execute exactly that with extreme clarity and precision. As we all know, trading with the trend improves the odds in favor of the trader significantly. The MACD, therefore, is not just a tool to maximize trend-spotting but also to optimize trend trading in a way that your profits are never compromised with. Also, the many colored MACD Histogram do not leave the scope for complicated analysis. Most of it becomes self-explanatory with a clear perspective on how the trend is expected to shape up in a matter of hours/days and the price points at which you need to prepare for potential reversal. What Indicators Can We Trust and Do We Need the Most? Millennial Investing Trends, True or False? How to insert the traditional MACD into MT4? And how come the traditional and MT4 default are different? Thanks. The indicator installation instructions is added below the download link in the above article. Please check. Default MACD histogram is the difference of 26 and 12 EMAs, whereas in traditional MACD the histogram is the difference of MACD line and 9 EMA. Thank you so much. I have installed MACD in my MT4. Hi, thank you for your time and everyday work. I see side way market, Hammer candlestick, and Double bottom, it is not our typical strong, trade setup, but it looks good for small long trade, what do you think? The Hammer formed above a not too strong support level. It seems the confirmation candlestick is forming too. If confirmed we will have a long trade setup which is not strong and will be risky to take. I won’t take it myself. Thank you for clear info explaining about MACD indicator. Also, please, note that there is something wrong with file Traditional-MACD-MT4.ex4 you kindly provided under above URL. The main issue is this Traditional-MACD-MT4.ex4 does not hook up to the chart. It works for me. Please make sure you have installed it properly. I have the same problem. I get a message saying: ” invalid license”. However, it is easy to find another one on the internet. It is working for me on two different brokers’ MT4 without any error. Strange! Ok, I’ve got tried to attach it by 3 different MT4 terminal installations and all of them could not hook up this file. Thankfully to search-engine I’ve got found same indicator from alternative URL and that one was hooked up with no issues. When I drag the Traditional MACD onto the chart nothing happens. What am I doing wrong? Tried several indicators MACD , RSI & STOICASTICS but there so lagging ! For me the way to go is Candle’s , Price and Bollinger band’s and the 50 MA is a help . We all have to find are own way but simple is best . Good luck to all nest week . 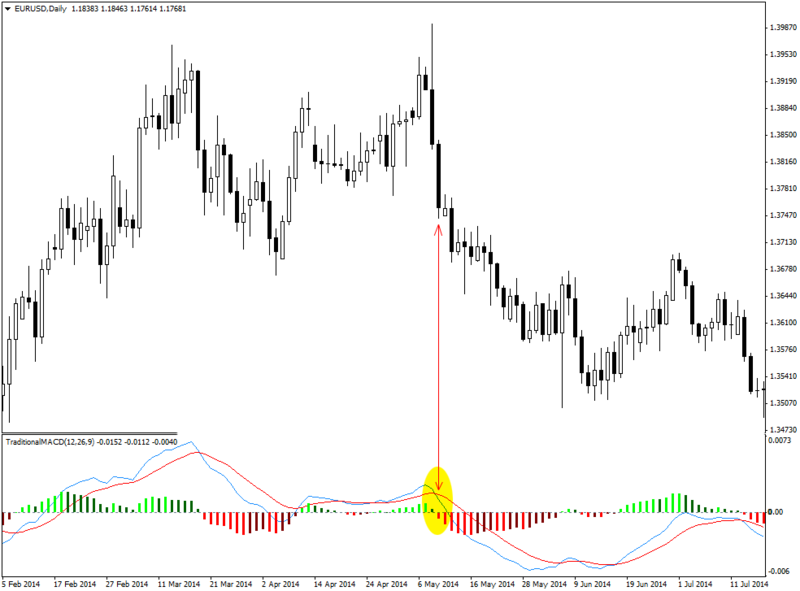 hi guys, i have uploaded the traditional MACD on the mediafire, simply put it in the indicator folder under MQL5. Hope it works for some of you. Great article guys but a faulty download for the traditional MACD. 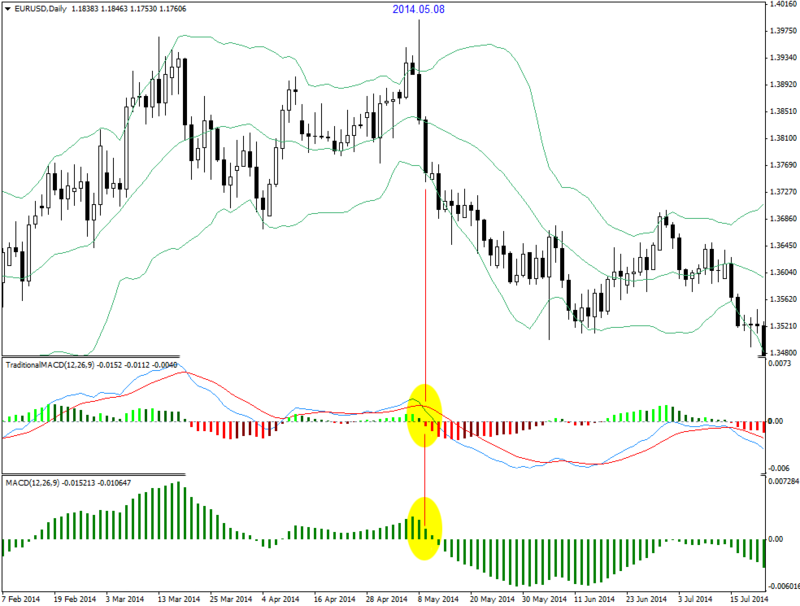 Just read the other comments sorry – I open file – data folder – MQL4 – indicators and paste the indicator there but doesn’t show up. Also, after downloading, there is no icon on the indicator, it’s just blank. It is just the installation problem. Make sure you have installed the file in the right folder. 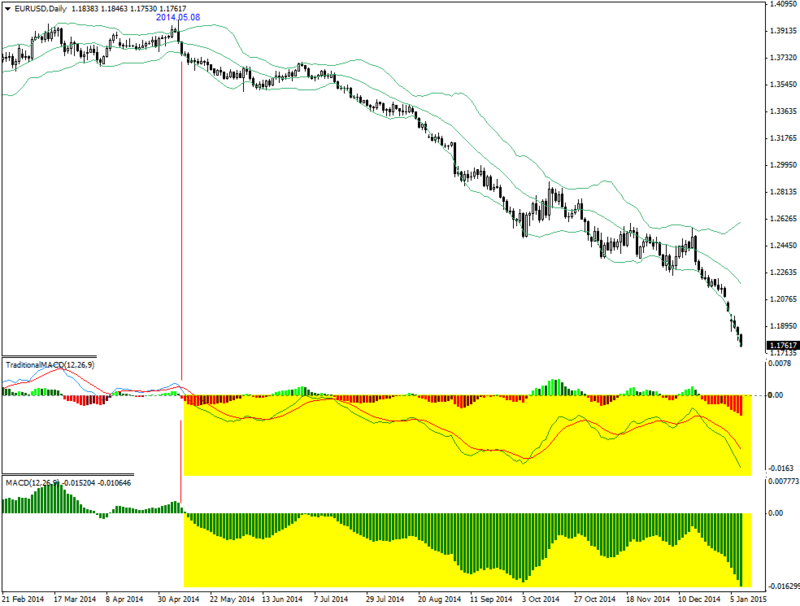 Hi, I installed it in the MQL4 indicators folder where I install all other indicators. This is the only one that doesn’t seem to work so should it go into a different folder? I have installed it in the same folder and it works for me. Is your MT4 updated to the last build? Hi, I think there is file missing in the download. 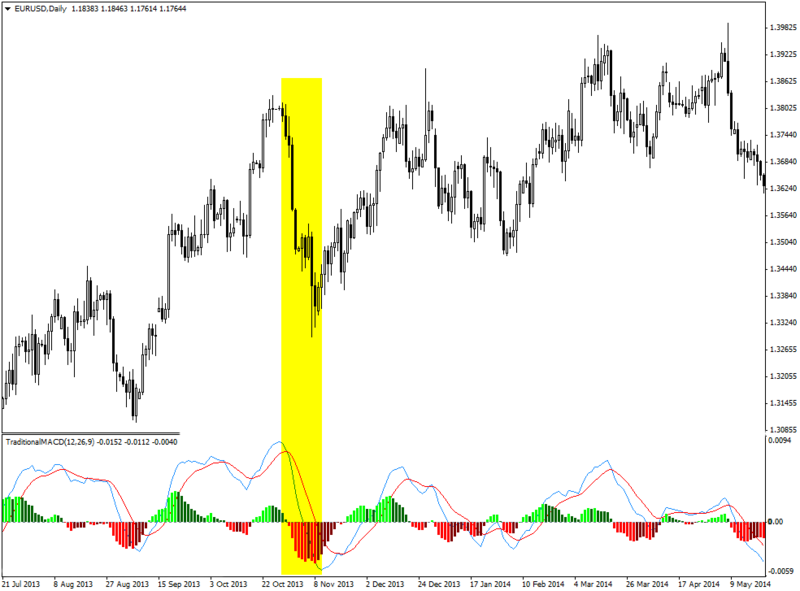 I noticed that when I paste the indicator in the MQL4 folder, each indicator there has a corresponding MQL4 source file, does this traditional MACD indicator not need one as well? No. The ex4 file is the functional file. If you delete all the source files still the indicators work. Hi, for the MACD divergence or convergence, how do we draw the line on MACD ,is it joining the MACD signal line or the peak/trough of the histogram? 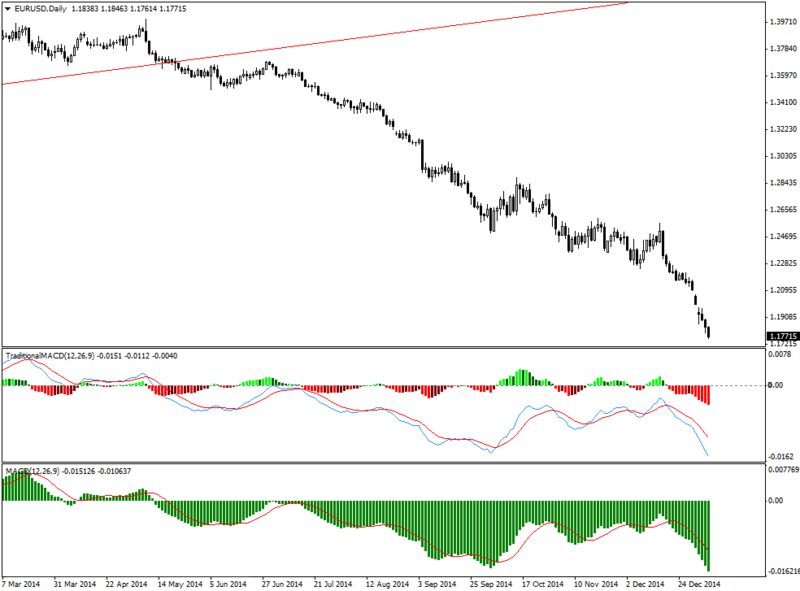 With the traditaional MACD we use the MACD line and signal which is a great tool for divergence and convergence. 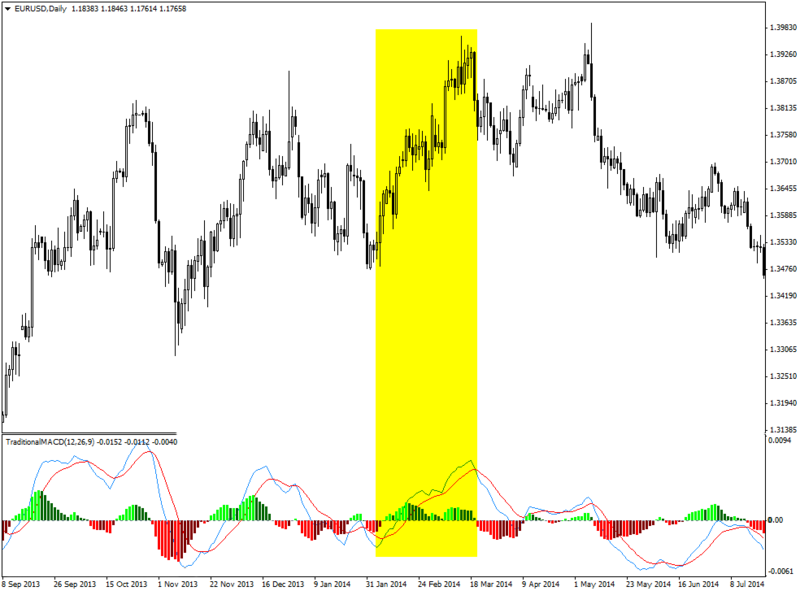 With the default MT4 MACD, we have to use the MACD histogram. All other indicators downloaded from LuckScout worked great except for the traditional MACD. Nothing happens on the chart as what several people had highlighted. I installed it on a new platform to see if there is any problem. It worked. Does anyone have an MACD with convergence/divergence on it please? Please try it on newly installed MT4. If it works there, then it means some of your current platform files are damaged and they have to be replaced. Then you need to re-install MT4 and overwrite the new file on the old ones. Wow! Thanks as always! You are such a great writer. I say this respectfully, it is just unbelievable how much you know. Wow! thanks, I will read this article again and again. I already have the MACD indicator with the slower setting recommended in https://www.luckscout.com/how-to-use-macd-indicator/. It helps me to see where there is a full exhaustion. 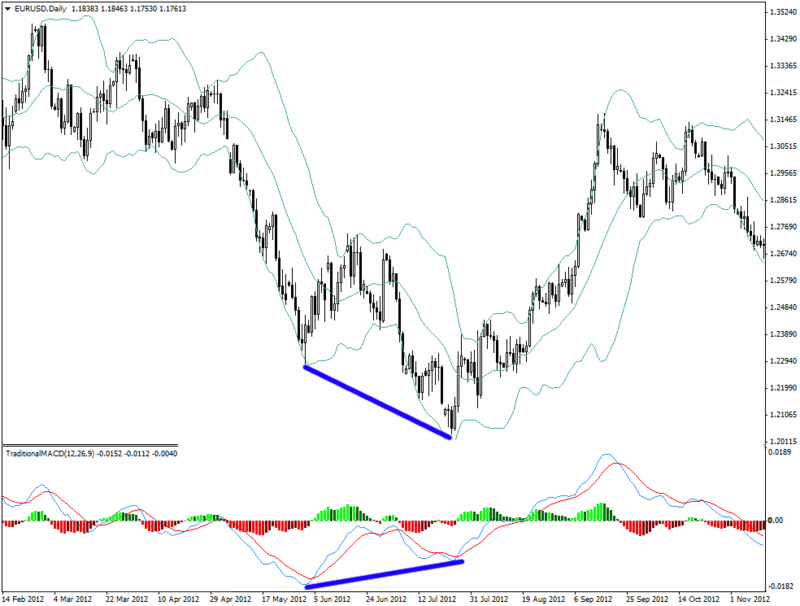 Although I wish to stick to the MT4 MACD, is there any major significance if the trailing line is far from the histogram? I may have missed it if it is already stated in the article. Many thanks. That line is just a moving average of the histogram. It is not that important and it doesn’t give any special signal. Yes, it seems it doesn’t work with MT4 new build. We have to replace it with an updated one. Hello I have downloaded this traditional MACD, followed all the steps, dropped it on my charts, nothing happened. how are you ? i am not receiving daily setups …dont know why?